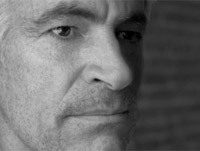 James Nachtwey has had a huge influence on my thinking and my approach to photography. He is at the top of my list of people who inspire me. On my list of “must-see” documentaries is War Photographer by Christian Frei. It follows James Nacthwey as he photographs war and social injustice. This credo was one of the major inspiration points for the founding of The Artists Group at SnapFactory. I do believe that photography can change the world. I may only be able to make a small change, but I’m only one of millions of photographers. If we all strive for positive change those millions of small changes will add up to one big change. Let me give you an example of one photographer I know who is quietly making a big impact here in Phoenix. Her name is Diane. Yep, my wife and partner here at SnapFactory. She hasn’t been shouting her charitable work from the mountain tops because for her it’s about saving the lives of animals, not fame and fortune. Every week Diane drives over an hour to the Arizona Humane Society and photographs dogs, cats, and critters that are in need of adoption. The Humane Society then takes these photos and posts them on their website. The results have been amazing. Since Diane’s involvement at the Humane Society adoptions in the Lonely Hearts club have increased dramatically (I believe it’s 80%!!!). The bottom line is that through her work Diane has saved the lives of many animals and have helped families find loving pets in the process. Diane is changing the world. There are many ways photographers can use their talents to make changes. In 2007 James Nacthwey won the TED Prize and last year he started a new campaign against TB. And now he’s asking for your help. You may not be James Nachtwey but I hope that you’ll be inspired to use your talents to make positive change in the world. Get out there. Do it. I’m very excited to tell you about something new at SnapFactory. We are calling it TAG. TAG stands for The Artists Group at SnapFactory. The Artists Group is who we are; SnapFactory is where we are. TAG is a local gathering of people dedicated to the exploration of ideas as expressed through art. We are a refuge for artists who desire to explore their medium and get constructive feedback along the journey. We believe that through our art we can change humanity in a positive way. TAG is free to all who wish to participate. There may be costs associated with some of the activities but there will never be a price of admission to our events. TAG is about ideas. We agree with TED in “the power of ideas to change attitudes, lives and ultimately, the world.” TAG is open to all forms of art and is committed to expressing ideas through our art. TAG is local. While we understand the power and virtue of online community we choose to meet face-to-face. We believe that community is key to our growth. We meet at the SnapFactory studio in Phoenix, AZ. TAG is global. We want to share as much as possible with those who cannot meet locally. To this end we publish our learning on the web in the form of blog entries, videos, and podcasts. The Group is a select group of 12 artists who are passionate about their art. The Group meets frequently and the membership of this group is rotated regularly. Discusses their work and seeks constructive feedback. Chooses a project that is beyond anything they have attempted previously and works on that project for the duration of their time with the group. Will display their work to the public in a free gallery showing. Will be available to answer questions during the showing of their work. Will research art and discuss their findings with the group. The Group hosts discussions with experts in different fields of the art world. These discussions are released on our website under a Creative Commons license so they can be freely shared and posted. What ideas or themes are you exploring in your art? Please elaborate. Who or what inspires you? Why? You don’t have to limit this to one person or thing. Please attach or give us a URL where we can see your work. Several times a year The Group invites an artist to displays their work in a local gallery. Everyone is invited and there are no admission fees. The artist is available to answer questions about the works displayed and discuss the ideas that led to their creation. Throughout the year TAG will screen films that challenge us to think in new ways. Following each film there will be time for discussion. We ask that you support the artists who are involved in TAG by purchasing their works so that we can continue to offer The Forum and Events free of charge. We plan to launch the first TAG events in March, 2009. We’ll keep you posted on new developments right here on the blog. It’s going to be awesome.